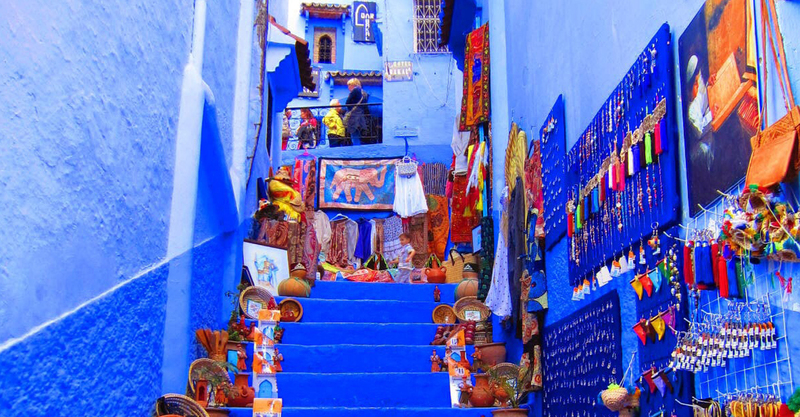 We will leave Marrakesh to start our Tour to Dades Gorges. 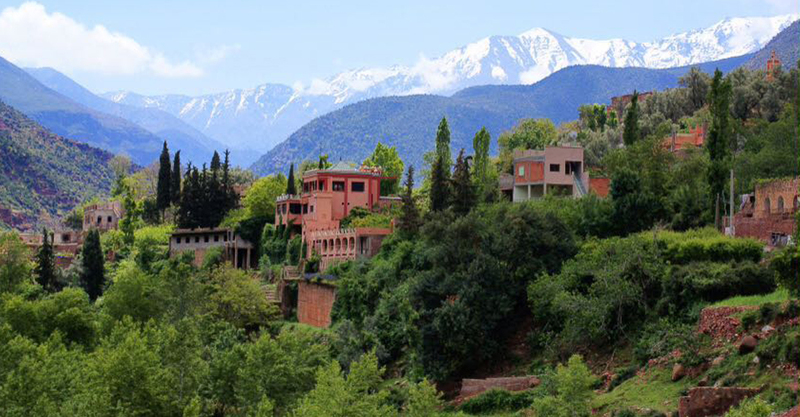 We pass through Tizi-n-Tishka in the high Atlas Mountains and have short stops to take some photos. 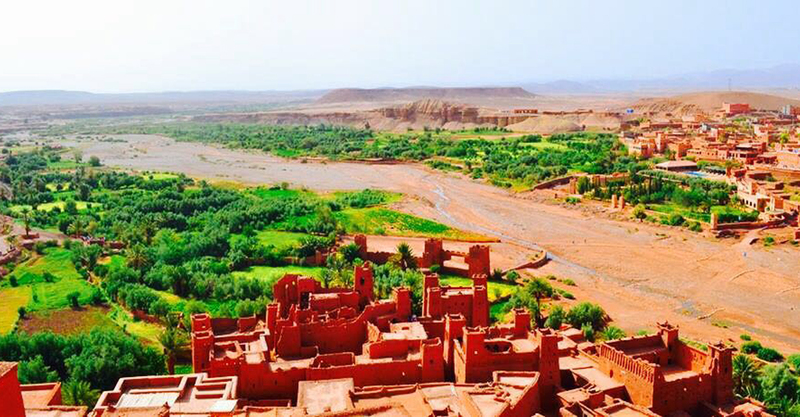 We will visit the Ait Ben Haddou village which is recognized by UNESCO as a world patrimony. Today we spent the day by exploring Merzouga desert. 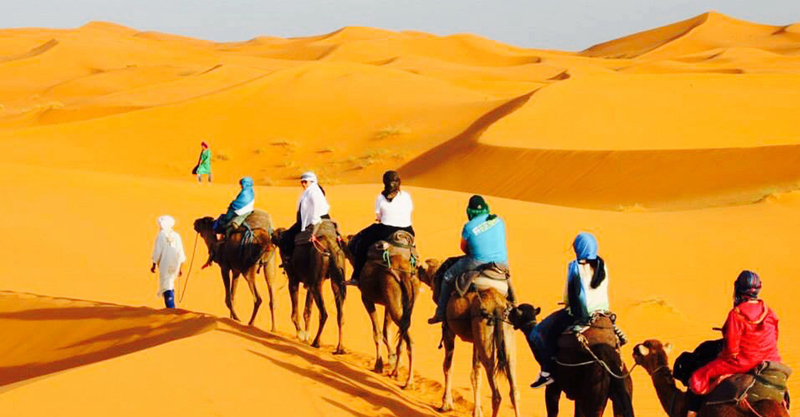 You will have opportunity to try sand-boarding , you can also ski in the dunes , and we also explore area by 4×4. We will visit Khamlia village – famous for its music. We can’t miss opportunity to see perfect sunset at dunes. We spent the night in Berber tents with local music and tasty dinner. After an early breakfast in the dunes, we ride the camels back to the hotel to take shower, and then we start our journey to Draa valley. We will pass though oasis of Rissani and Berber towns oasis of Nkoub and we stay overning in local hotel in Zagora.